The Wisconsin Humane Society wants federal workers and contractors impacted by the government shutdown to know they have a resource for pets. "If you think about people who are already living pay check to pay check and now aren't even getting pay check, you don't want them to have to choose between feeding themselves or their pet," said Allie Christman, marketing manager for the Wisconsin Humane Society. 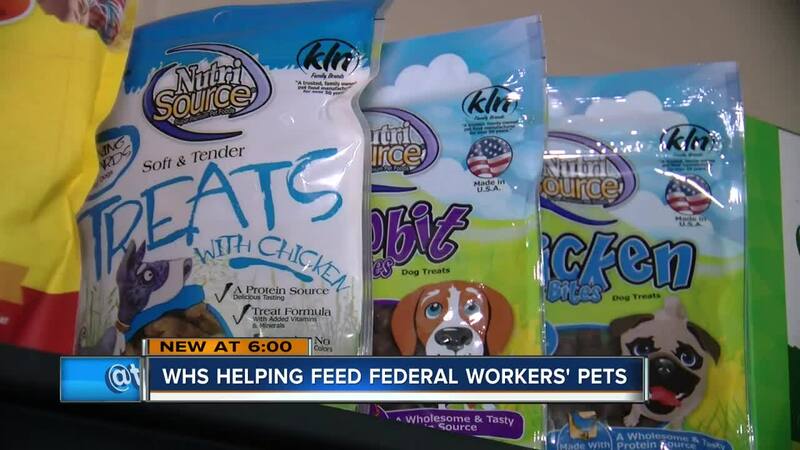 Christman said with the ongoing shutdown they want to help federal workers caught in the middle by offering pet food through their Furry Friends Pet Food Pantry. "We want to make sure these temporary financial struggles aren't the barrier between keeping the pet they love so much and surrendering them to a shelter," said Christman. The Humane Society's pantry runs all year, but it relies entirely on donations. "The amount of food we can offer does fluctuate, but we do offer dog food, cat food, kitty litter," said Christman. Pet owners in need can go to the Humane Society's Milwaukee, Ozaukee, and Racine campuses. The organization is also accepting donations.